If you’re like me (then I feel sympathy for you) you probably have more than one computer in your household. Each computer holds its own library of media: music, movies, and photos. Setting up a network then sharing files is a huge chore thanks to our buddies at Microsoft. Let’s face it: I want more than just a normal, boring, computer network these days. 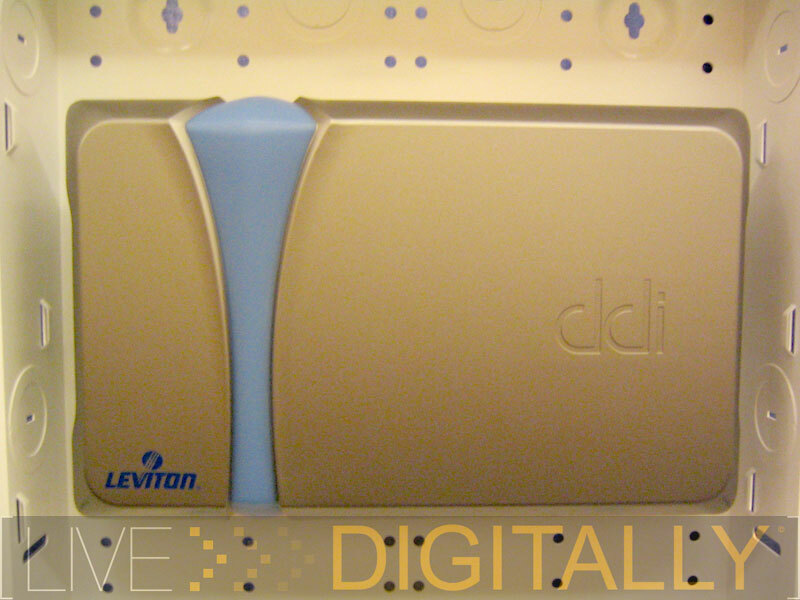 My digital appetite may be satisfied with something I came across during the Connections Conference, the Dedicated Devices Inc. (DDI) Digital Home System. 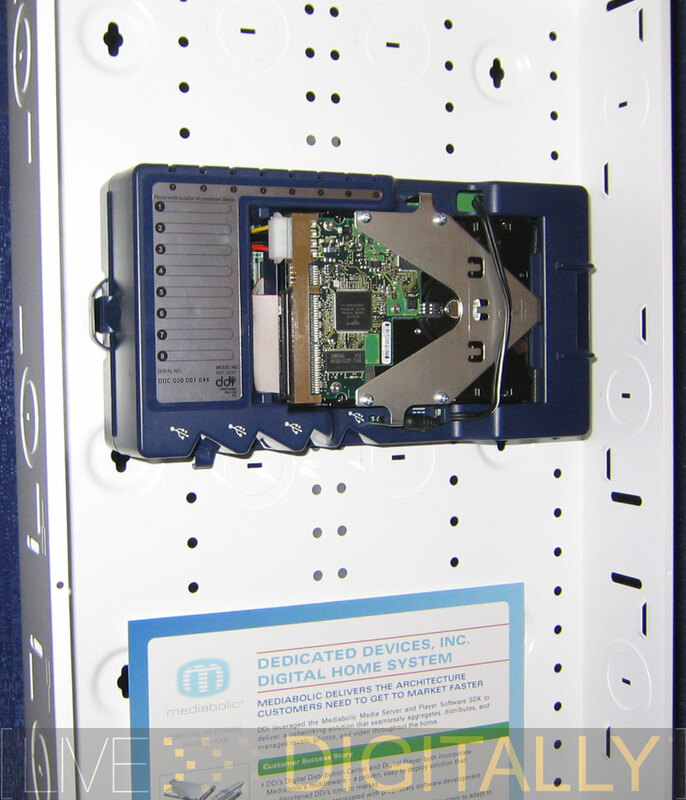 Mediabolic has teamed up with DDI to bring a new type of home network. Considering you paid $12,000.00 for that 62” plasma screen, and $5,000.00 for your 5.1 Dolby surround sound stereo, why the heck are you still listening to mp3’s and viewing photos on your 15” computer monitor!? 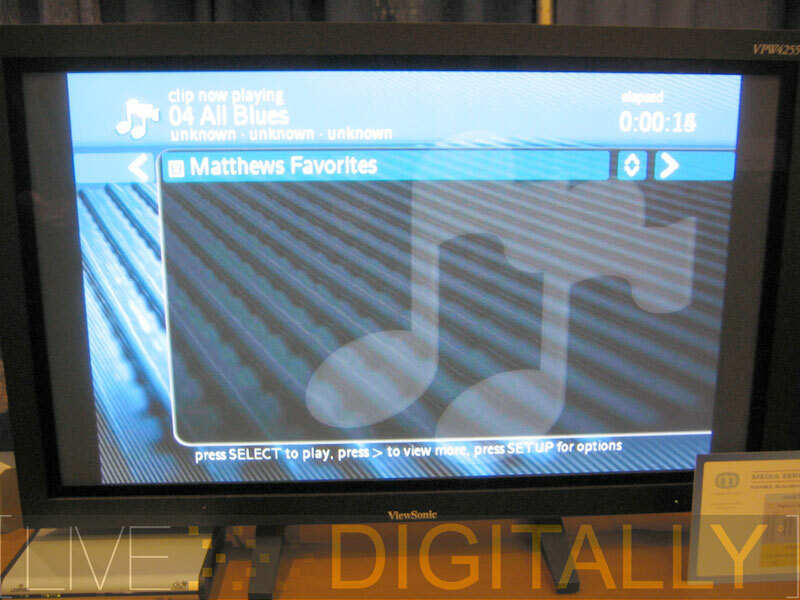 With this technology, all of your media is not only accessible via any TV or stereo in your home, it’s also backed up! The unit comes with 120GB of storage to start you off. As you add photos, movies, and music to your network, the files are stored on the drive for fast access as well as a safety backup. What? Only a 120GB hard drive, I have 130GB of songs, what then? No fear, the unit comes equipped with 4 USB 2.0 ports allowing external hard drives for the data us digital fanatics insist on hoarding. 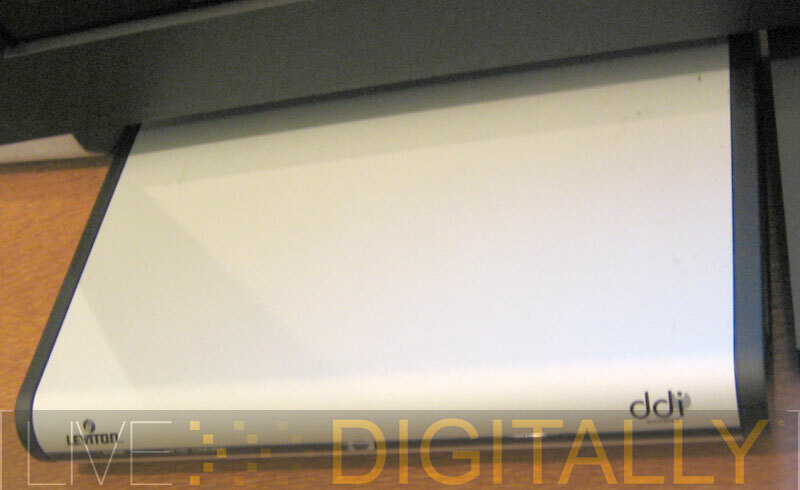 Printers, webcams, and other USB devices can also occupy the ports if you feel the need. A wireless access point can be plugged in and is not included for the reason that this product is installed into the same box as the circuit breaker. You’ll find this product is currently aimed at the homes and buildings being built, not as much for the existing ones. 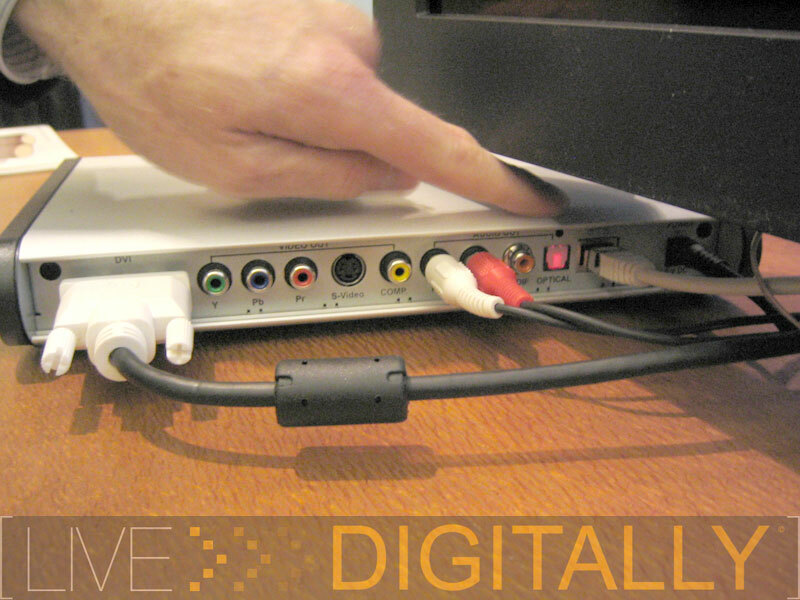 The receiver box has multiple outputs able to connect to almost anything monitor-like. On screen text shows you what you’re playing while you’re playing it. What if your songs are titled incorectly? This baby is equipped with Gracenote, which fixes no named song titles by comparing the first 15 seconds of the song to an online database. Once it finds a match the meta data is downloaded and you’re set to soar. I viewed a slideshow of someone’s exciting trip to the Tokyo fish market while jamming to some blues songs, guts and blues never went so well together. He changed that slide show before I was able to capture it, but that’s not what kept me at the booth. I can’t wait to stick fingerprints all over my very own unit, and flat TV, and expensive stereo, in every room of my house. Just one correction: the USB ports are specifically for adding storage. If you want to add printers, et al, use the Ethernet ports. 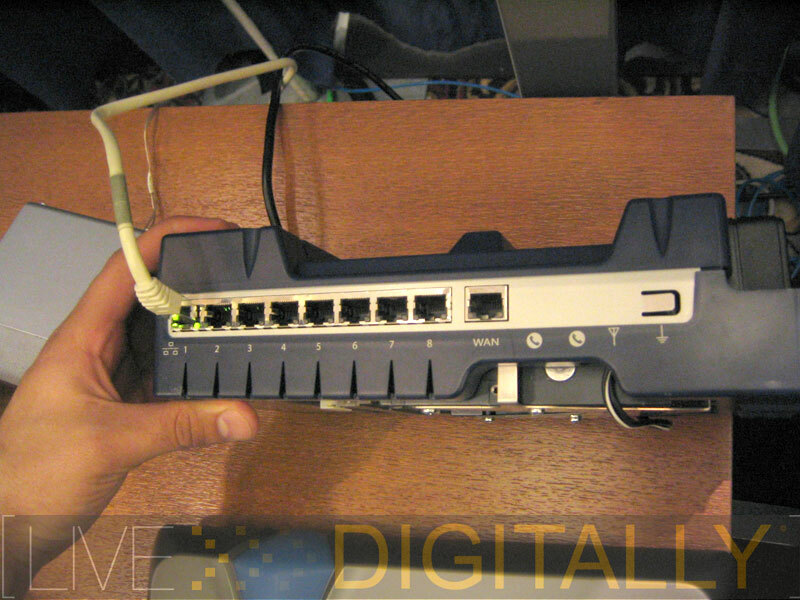 I have a network printer from HP (psc 2510) and it works great plugged into the one of the Ethernet ports. One more comment, the media server/router/switch unit goes in the structured wiring cabinet–not the breaker box. The structured wiring cabinet is specifically designed for low voltage items like cable, telephone and data connectivity. Over sixty percent of new homes have structured wiring now, according to a recent study by Parks and the CEA.